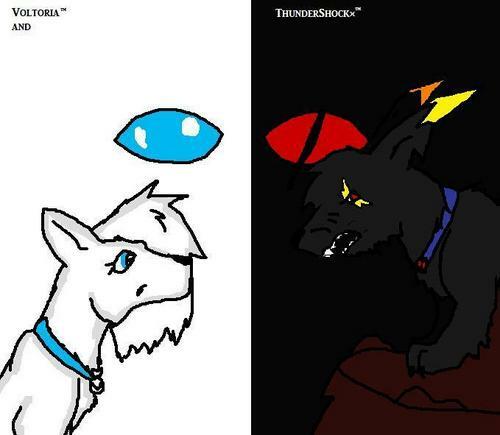 Voltoria and ThunderShock. Just a pick of voltoria looking at her evil brother :D تبصرہ PLEAASE. Wallpaper and background images in the Disney's Bolt club tagged: bolt movie dog screencap anime. I thought Thunder Shock was Bolt's Evil brother. 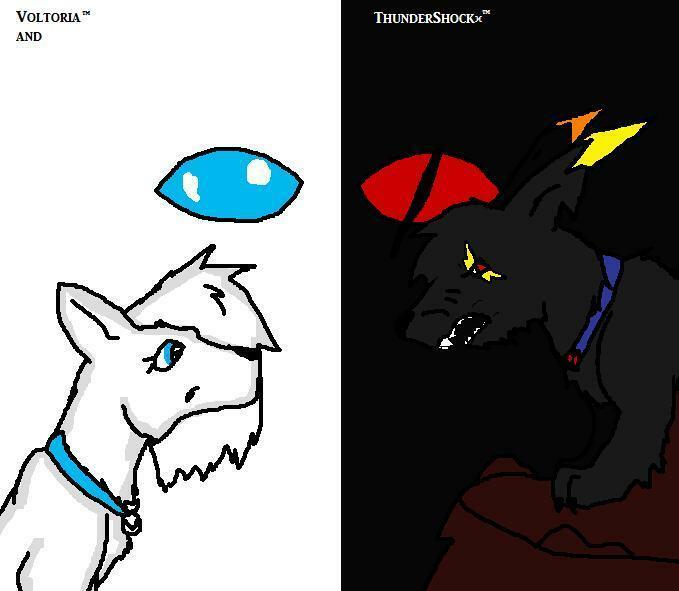 Mom: Molly + Dad: Bubba = Bolt and Voltoria but Thundershock is an evil CLONE, something messed up in the gernerator so his fur was black instead of white and he can control the powers of electricity.